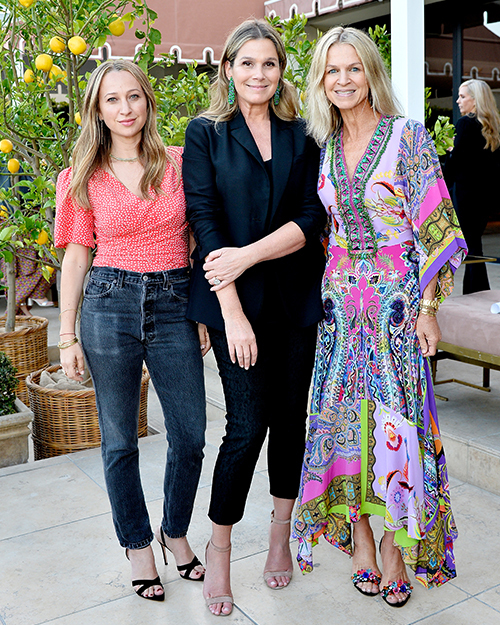 The terrace at Sunset Tower Hotel in LA was the perfect location for the launch of the Spring 2018 AERIN Collection by Williams Sonoma this month. 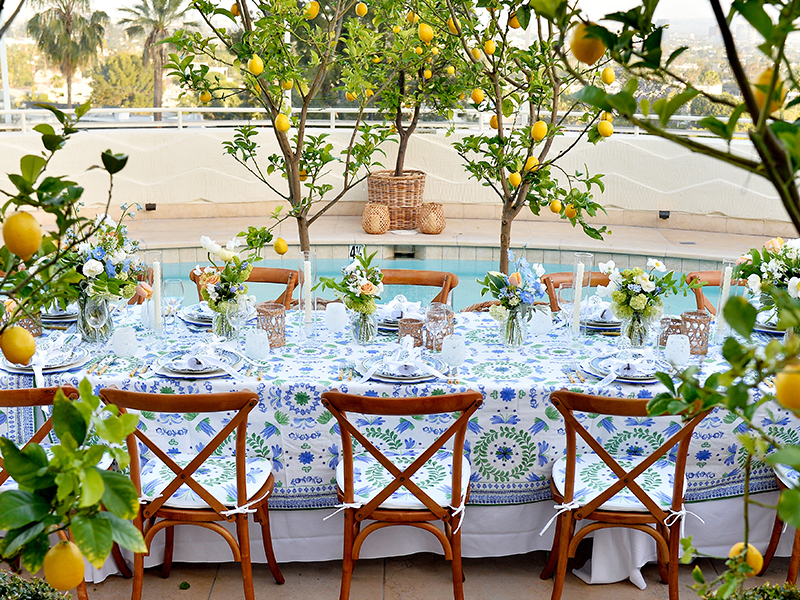 Fragrant flowers, lemon trees, and views to the Hollywood Hills were the backdrop for a table set with some of my favorite pieces from the collection, inspired by classic Hamptons style. 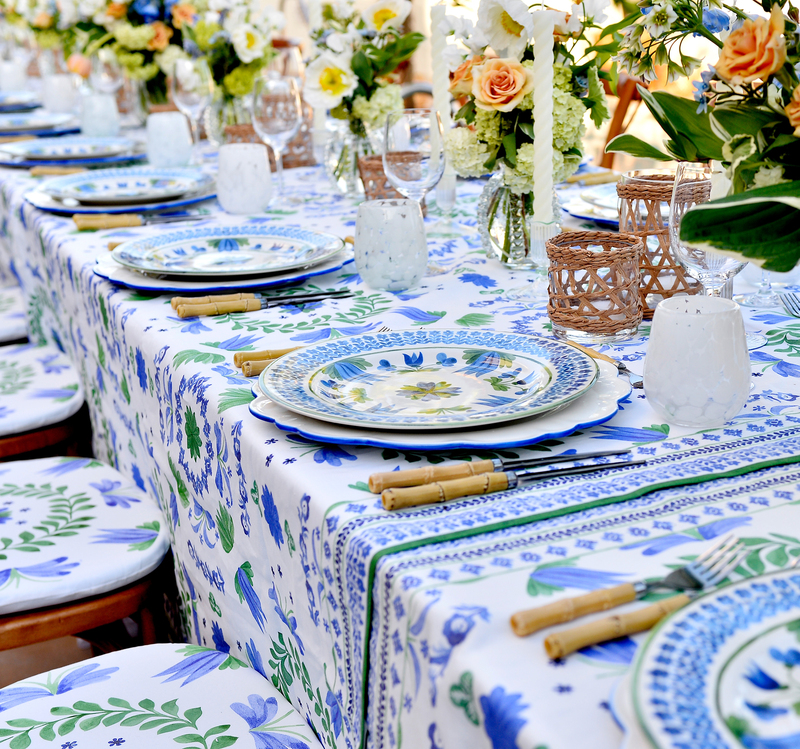 I opted for the Ardsley’s fresh blue, green, and white floral motif for the tablecloth, napkins, and dinnerware on a Scalloped Blue Rim Charger, and paired it with Natural Bamboo Flatware and wicker hurricanes for an informal, natural look that I love. 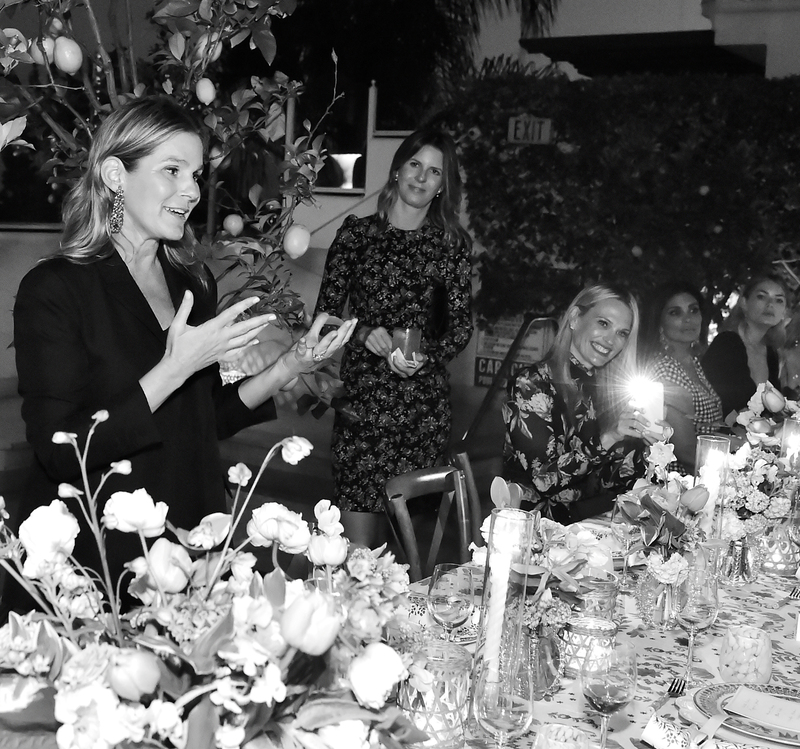 My co-hosts, Crystal Lourd and Jennifer Meyer, and event designer Fiona Leahy, helped create this beautiful occasion, with perfect details such as personalized crackers filled with beauty samples and candy, and layers of candles and short-stem blooms. 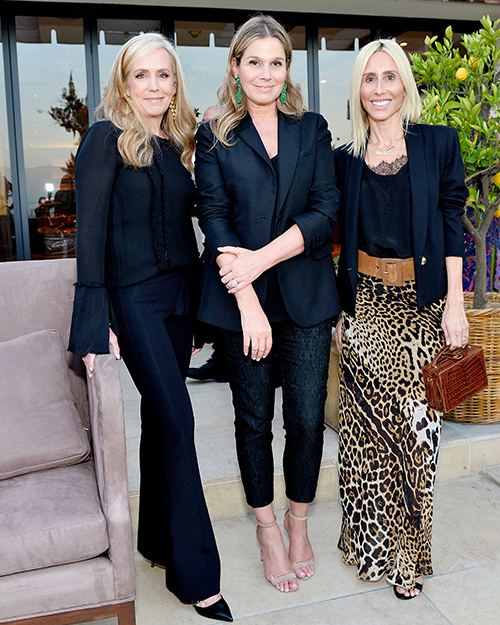 Cocktails, Caprese salad, and steak frites were served to a charming group of guests that included Selma Blair, Lisa Marie Fernandez, Isla Fisher, Ali Larter, Monique Lhuillier, and Rachel Zoe. 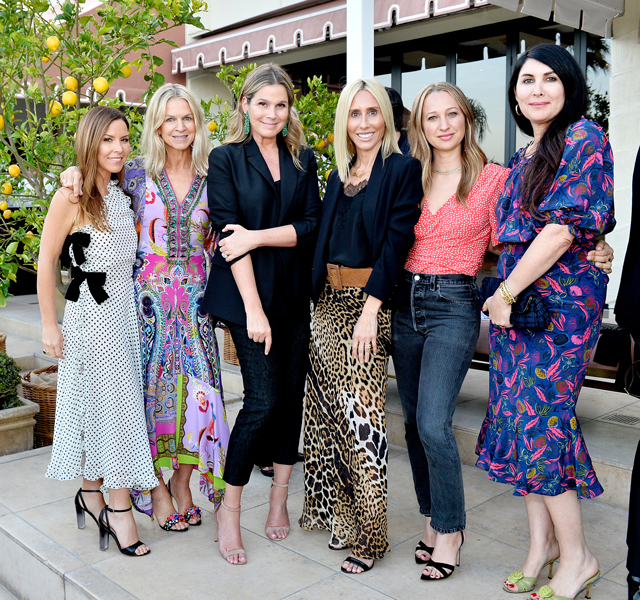 While my heart will always be on the East Coast and the pretty beach towns that inspired the new WS collection, when I visit carefree California, it’s always hard to leave.